Happening this April 5th and 6th in NYC! The Museum of Comic and Cartoon Arts Festival is an annual event that takes place over a weekend in New York City, hosted at the 69th Regiment Armory, 68 Lexington Ave. The Society of Illustrators has been organizing the event since its acquisition of the Museum in 2013. 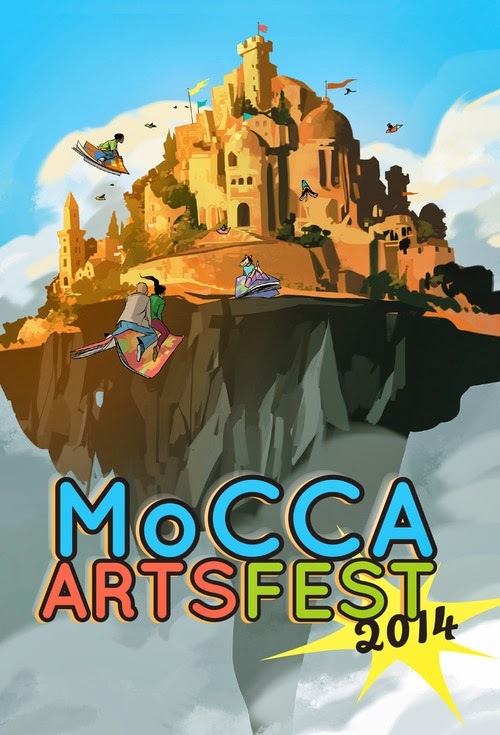 The mission of MoCCA is to promote the understanding and appreciation of comic and cartoon art. They take pride in promoting independent comics, and there are a mix of artists, publishers and institutions represented. How do I get a table? Applications go out in August. Everyone is welcome to apply as long as they are selling some sort of printed comic book, graphic novel, zine, ect. During standard registration half tables range from $210-$290, full tables range from $330-$420. Early-bird prices, student prices and Society of Illustrator Member prices are all reduced. Are chairs provided and how many per table? Two chairs are provided for whole table, 1 chair for half. Are there setup restrictions? Union rules? We are not union. The Society staff will set up the Exhibitor Hall on Friday morning, and artists can then set up their merchandise on Friday afternoon. Is there security at night? There will be security the entire time that we are in the space, including night. Are there electrical outlets for booth use? Electrical outlets are very limited and we do the best we can to provide one when requested. Height restrictions on signage? Signage should not exceed pipe and drape, which is 8 feet high. Can you bring food/water? You can bring food and water, but there will also be options available in the "MoCCA Eats Cafe". Can things be hung from ceiling? Nothing can be hung from the ceiling, it is a few hundred feet from the ground and would take a scissor lift to reach. Is there a freight entrance? There is a freight entrance that is open to exhibitors and vendors only. Can books/merch be sent ahead to convention site? Books and merchandise must be sent to the Society before hand. Nothing can be sent to the convention site. Any lights/sound regulations? There are strict lights/sound regulations in place. Is there wifi in the building and is it free? Wifi is not available to the general public. Tickets cost $5 per day and can be purchased at the door. What kind of events will take place? There will be on-site programming on both Saturday and Sunday. There will also be live demonstrations by artists in the Wacom Demo Lounge. The Society has organized the first annual Comic and Cartoon Art Week during the week of April 1-6 (more info here). Events include lectures, panels, book launches, parties, and the Festival. There will be the opportunity to meet many artists. What kind of items will be available for sale? Books, art, collectibles and more will all be available. Artists, fans, and the public will be attending the Fest. With the exception of early Saturday morning, we do not anticipate large lines. There is no cosplay, and the exhibitor hall is handicapped accessible. There is also a Kids Zone for guests and their families.